PREMIUM COARSE FEED is a new water stable feed pellet designed for modern coarse feed tactics like method fishing. 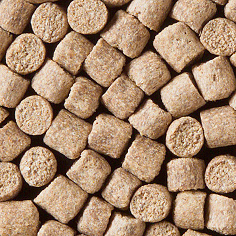 Ingredients like fish meal, fish oil and grain make these pellets very palatable for all coarse fish. A flavour trail will develop in the water to attract the fish to the swim. 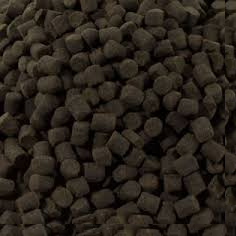 Method fishing requires pellets that can be moulded around the lead without forming a dough. The pellets need to come off whole on the bottom close to the hook bait. Coppens’ development team has successfully developed such pellets in different sizes. PREMIUM COARSE FEED is easy to prepare by simply soaking the pellets. PREMIUM COARSE FEED can be combined with all kind of hook baits. Since these pellets are a complete feed the fish like to eat them and keep in good condition. is an extruded grower with extra energy. The extra energy preserves the protein for growth so that less ammonia can be formed which helps to maintain a good water quality. CARPCO BASIC SELECT is suitable for cyprinids in ponds. It excels for summer and autumn feeding, it helps to utilise the growth potential and prepare the fish for winter. This grower is a complete feed and contains all the necessary vitamins and minerals required for a healthy development.